This article is for women giving birth in a hospital. If you want to have a natural birth in a hospital, you will need to do a lot of preparation. Why? Because the current cesarean section rate is around 30% nationally. In an emergency situation where a woman cannot deliver her child naturally, being able to have a cesarean is a life-saving event. Unfortunately, the vast majority of women of women giving birth in a hospital receive cesarean sections would not have needed one if they had prepared for natural birth. Did you know that cesarean section rate for medical practices (OB and Midwife) that advocate natural childbirth is only 3-5%?! Unfortunately, the same equipment that many women giving birth in a hospital find comforting in is not just decoration. Hospitals want to use that equipment–on you—to justify its existence. The first intervention usually causes the next, and the next. This domino effect of interventions ultimately results in one-third of all women giving birth in hospitals “needing” a cesarean section. If you don’t like the high risk of having a cesarean, you can help yourself by choosing a hospital situation that is conducive to natural birth and by doing some planning ahead of time to prepare yourself and the people caring for you. To find out what your natural birth options are, be prepared to interview two separate hospitals to understand what your options might be. At each hospital, find out if they have hospital-based midwives and ask for a list of doctors that support natural birth that have delivery privileges. Try to find a hospital that has childbirth practices that are supportive of natural birth. Next, interview at least two of the hospital based midwives. If the hospitals close to you don’t have any, consider going farther afield. First-time labor takes between 15-18 hours on average. A twenty minute drive to the hospital is not out of the question, especially if you will have the right support there. Tip: Many Kaiser locations have hospital-based midwives. With a hospital-based midwife, you will have a natural childbirth advocate assisting you. A midwife will spend more time with you during your appointments and during delivery than an obstetrician will. The other huge benefit is that the other hospital personnel will be more likely to realize that you are “one of those people” …the ones that don’t want to be subjected to all of the routine hospital protocols. If you can’t find a hospital-based midwife, consider an obstetrician that is a natural childbirth advocate. Even if you find a wonderful midwife or obstetrician, you need to find out what happens if he/she isn’t on call when you go into labor. If his or her backup isn’t a natural childbirth advocate, you could be in for a nasty surprise when you get to the hospital. If you are delivering in a hospital, you will also need to have a strong birth plan. A strong birth plan is the best way to communicate your wishes to the labor and delivery nurses--who you have absolutely no control over. Check out our Birth Plan Template for suggestions about what you might want to include on your birth plan. We also recommend that you hire a professional doula to support you. An obstetrician will usually only appear at the end of your labor to catch your baby. Some hospital-based midwives will provide continual support but most will not be there the entire time you are laboring. Having continuous labor support is proven to increase your chances of having a natural birth. Find a doula who has had lots of success helping women giving birth naturally. Find one with experience with the hospital you plan to deliver in. Many natural childbirth practices will have a list of doulas that they have worked with. Having continuous care from a natural childbirth advocate who is trained to help you avoid unnecessary pain is essential. Remember, women giving birth naturally need to be focused on labor and their baby. Surround yourself with people who have had lots of success helping women giving birth naturally …people who understand the natural birth process and can be your advocates. They can talk to the nurses and ensure that the environment in your labor and delivery room is conducive to a woman giving birth naturally. The right birth environment and the right birth attendants are no substitute for getting educated – if you want a natural birth in a hospital. You and your husband/partner need to get educated about natural childbirth so that you know what your options are and how to help yourself. Women giving birth in a hospital need to do the same amount of preparation they would commit to purchasing a house, starting a new business or ascending Mt. Everest. You need to prepare for the birth of your child. At the hospital, you and your husband will be the ones ultimately responsible for all decisions. You don’t want to end up on the intervention road despite being surrounded by natural birth advocates simply because your husband freaks out--due to lack of preparation. You need him to be your advocate and you both need to be on the same page so that the birth of your child will be a wonderful memory for both of you. We recommend that you take a Bradley Birthing class. Why? 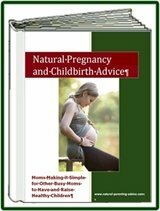 It is the fastest, most effective way for both you and your husband/partner to get prepared for a natural birth. Of over 1,000,000 couples trained in The Bradley Method® nationwide, over 86% of them have had spontaneous, unmedicated vaginal births. This is a method that works! Disclaimer: Several of us here at Natural Parenting Advice are certified Bradley Birthing instructors. We are not getting paid for recommending Bradley Birthing classes and the likelihood that we are your closest local instructor is very low. We all have full-time employment outside of the childbirth industry. 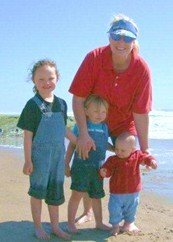 We became certified Bradley Birthing instructors because it worked for us. We recommend Bradley Birthing and we created Natural Parenting Advice because we want to help other working women. If you absolutely cannot take a childbirth class in person then at least take an online childbirth class. While in person classes are the best, an online class is much better than no class. If you do take an online childbirth class, be sure to complete the entire class so that your receive the full benefit. Lastly, women giving birth in a hospital have no control over the pediatrician that attends to their baby immediately after birth. Even if your OB is natural childbirth friendly, you need to be aware that it is the pediatrician who makes all the decisions the moment the baby leaves your body. Why are we suggesting all of this?? We want women to have wonderful memories of their children being born. We don’t want your first days with your new baby marred by recovery from major surgery. We want your baby to have the best possible start in life. We want to make sure that women giving birth are aware that they are working against the system so that they can take steps to ensure that they have the birth they desire. We hope that after reading this you will be aware that typical hospital protocol is not natural childbirth friendly. Once you start down the intervention pathway you can be in big trouble because one intervention often leads to the next, currently ending in a cesarean over 28% of the time. Now you can plan for the birth you desire.